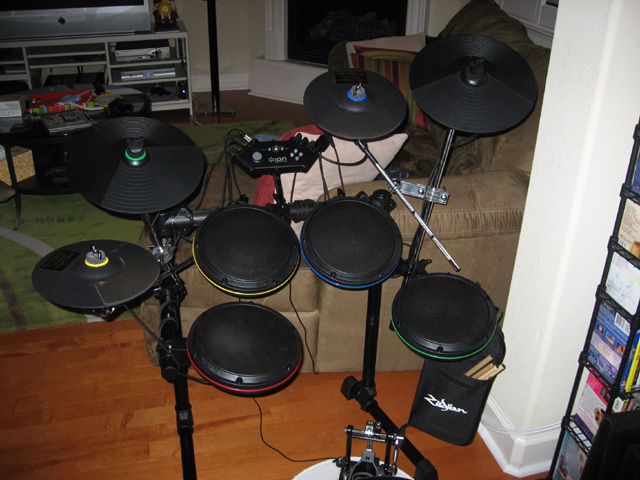 As a birthday gift to myself, I bought the Ion Drum Rocker in January. I’ve had it for a month and a half now, and I’m only just beginning to get used to it. My scores are down, but that’s to be expected. 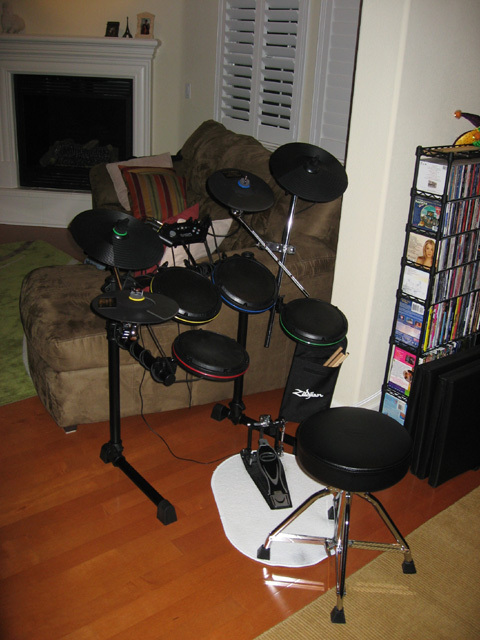 It came with two cymbals; but a couple of weeks ago, I added two more 10″ Pintech cymbals. The Pintech cymbals are much quieter and more responsive than the Ion cymbals. Since the Ion cymbals are much louder, I’m using them as my crash cymbals. You are currently browsing the Gil's Blog blog archives for February, 2009.